For Roger Wang at Forward Controls Design, the small things aren’t small…in fact, they’re everything. 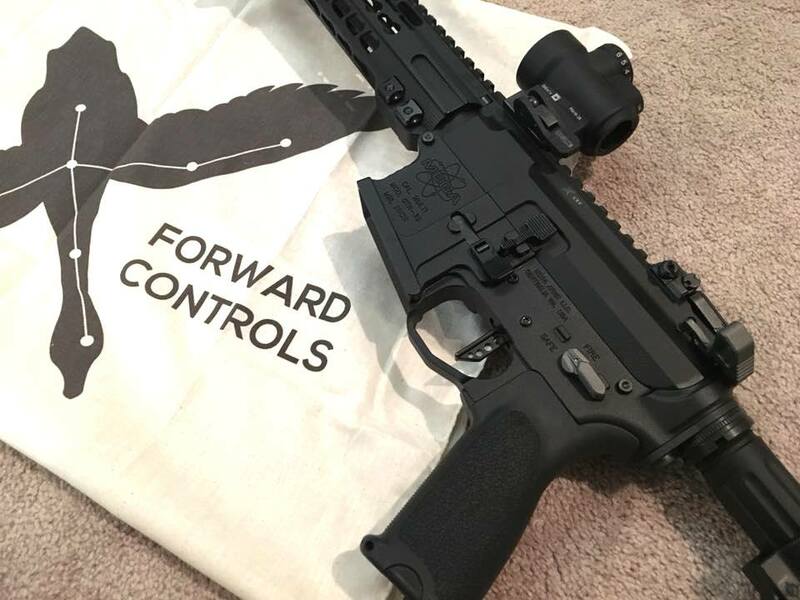 As a maker of AR parts and accessories, Forward Controls Design is currently putting out a wide variety of high-quality AR parts. We recently sat down with Roger Wang to learn more about the company and some of the small, well-thought out components he is producing. Q: Roger, can we start with a bit about your background and the philosophy behind Forward Controls Design? Roger Wang, Forward Controls Design: I started Forward Controls Design in late 2014, shortly after my departure from Battle Arms Development, which I co-founded in 2009. My former partner and I are on good terms, but times and directions change. I like to say I didn’t leave so I could do something new. 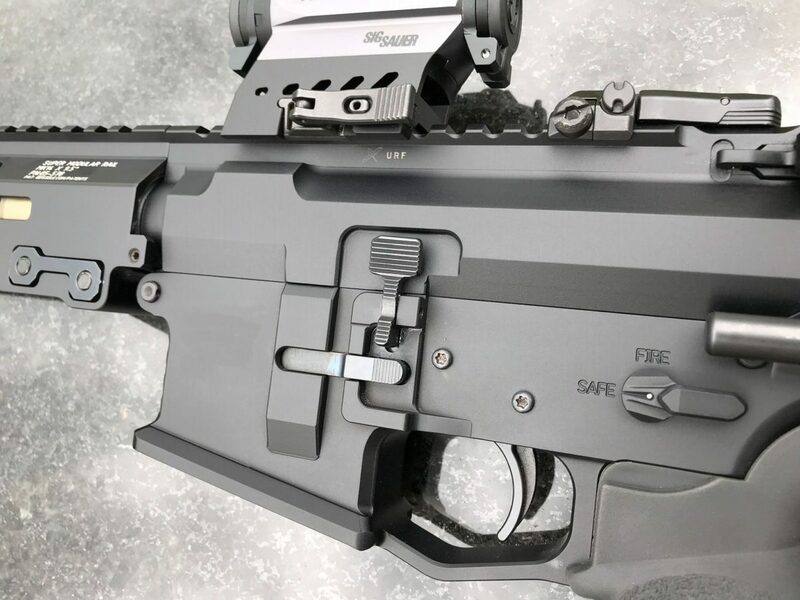 My designs had always centered around ergonomics and practicality for folks that use the AR as a tool, and Forward Controls Design continues on today with the same mindset. Now, my educational background is in IT and networking. I work in connectivity and LAN/WAN design…so it makes sense the logical and no-nonsense approach in my other profession manifests itself in Forward Controls products, as our designs are utilitarian and measured, with modest aesthetics. I don’t believe that any gear can take the place of training, that is not our goal. Our target audience is law enforcement , military, and anyone that uses their AR for defense. Our designs and products aim to make users more efficient…by making the machine-to-human interface more intuitive. Roger Wang, Forward Controls Design: The AR design is pretty old…from back in the 1960’s. There have been a lot of improvements and enhancements since then, but most have been ad-hoc efforts. Unfortunately, the common theme I’ve seen with ad-hoc solutions is that, in the process of solving one problem, it usually inadvertently creates another. Our approach to improving gear and components is from a wider, ergonomic standpoint that sees the AR as a living system…where multiple subsystems work together in harmony and balance. And because we view the AR as a tool of a profession, much the same way a carpenter would treat chisels, we prioritize functions over form. We don’t spend a lot of time on aesthetics. For us, the design has to work, and work better than the original on which it’s based….the aesthetics part is easy. So, where we do spend the time is on the development side, because, simply put, there’s no “free lunch.” We can’t add, remove, or modify something in an existing design without also considering how it might affect something else…and it almost always does. A lot of what you do seems simple on the surface, but when you look closer, it’s apparent a lot of thought is put into what you’re doing. Roger Wang, Forward Controls Design: I’m a bit of a history buff…and an important lesson is you can over-engineer to the point where it’s not just diminished return, it becomes a detriment. Also, just because you over-engineer, it does not mean you are going to get that much more out of it. For me, it comes down to robustness and practicality. So, when a single piece component is now made of three or four pieces, unless you can justify the benefits, it’s not worth it. Simplicity has benefits well beyond maintaining or lowering parts counts. 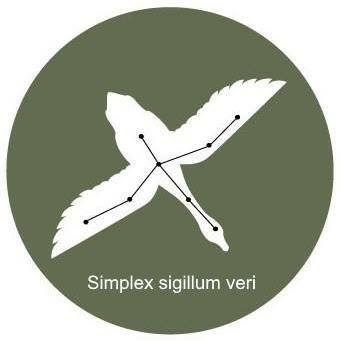 One of my favorite Latin phrases is “Simplex sigillum very” or “simplicity is the sign of truth.” Anybody can make things complicated. To make things simple is not as easy as it sounds. It’s a paradox. We spend a lot of time making complicated ideas into simple products. That’s our motto…keep it simple. It keeps costs down…and there are fewer things to break. 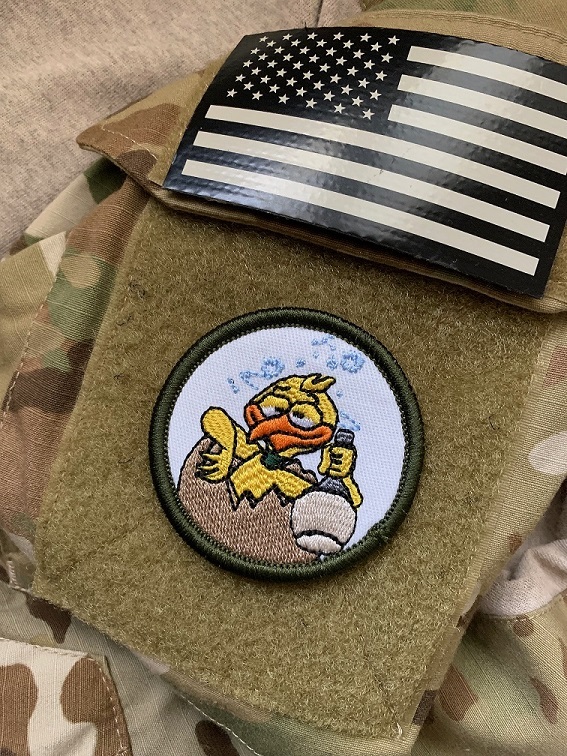 And at the end of the day, for those that go to war or on patrol with their ARs and M16s…frankly, they don’t care how they look. They just need them to work. The fewer parts a design has, the more reliable it can be. And I can tell you…few things ever benefitted from complicated designs that invariably involve more parts…parts that can and do fail. But you are correct that the simple design of our products can belie the amount of thought that went into them. One example of this is our magazine release button. We call it the EMR…the Enhanced Magazine Release. 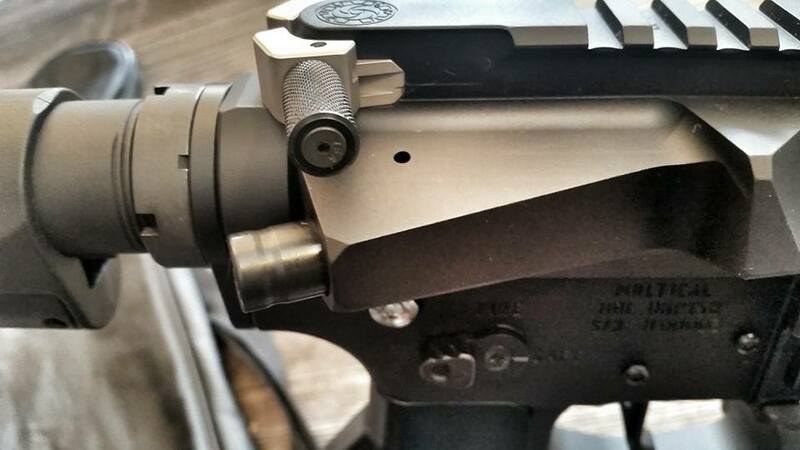 It’s a mag release button for the right side of the AR. It’s still a single piece…not a three or four-piece design…but it’s curved so that it automatically centers your finger in the middle. It has horizontal serrations to mitigate vertical movement and keep your finger on the button. Its design goals are pretty simple, but it is a pain to make because you need a 4th axis machine to produce it. 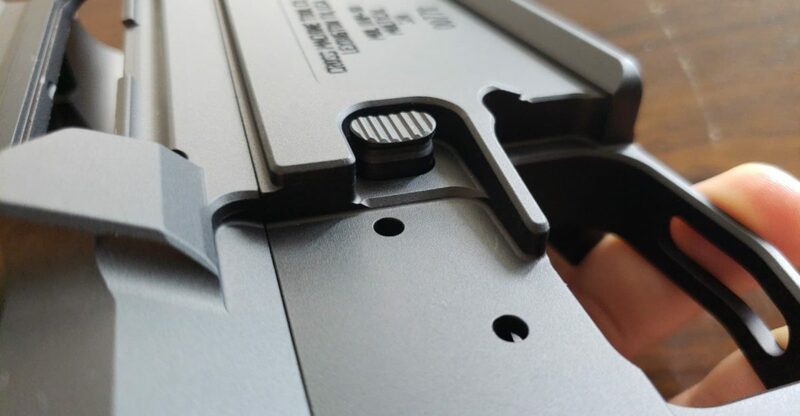 The EMR doesn’t have screws that can be lost, and it doesn’t stick out of the magazine release fence to make it more prone to snagging and accidental mag drops. There is no reason to make something like this difficult and complicated. A single piece with thought put into it can make a lot of difference. Q: Your forward assist also has a bit of a different look and feel to it. Roger Wang, Forward Controls Design: Certainly, and that one is another good example of a simple design. We call it the LDFA, or Low Drag Forward Assist. From the way it looks, you might think there’s nothing special about it except for it does not have a rim. You can train to curl your finger to avoid the rim, except if I am a right-handed shooter, I probably only train to shoot from my weak side 20 percent of the time, and may not have it trained into muscle memory. So, the LDFA design is a simple and effective solution. 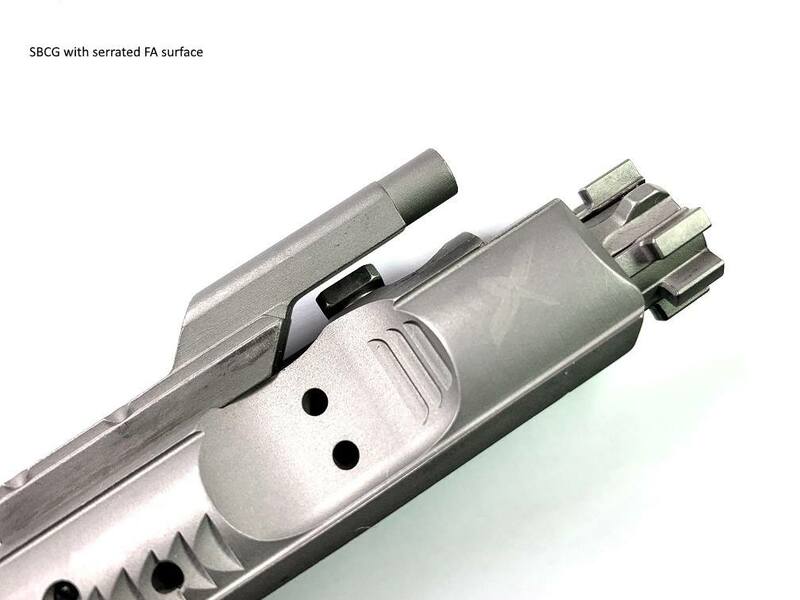 For a left hand shooter or right hand shooter that shoots from the weak side, if they use the ambi charging handle’s right latch to pull back on the charging handle, their finger and knuckle will simply glide right over the forward assist. So, a lot of what we do at Forward Control Designs is similar to this…it’s a response, a simple, well researched solution to a simple problem. When you over-complicate, you are not really helping the user. You may be making it look pretty to sell things, I don’t really care about that. I want our products to make a difference. I want to make things easy for the people who depend on them for their lives. Q: Your SBCG bolt carrier group is quite interesting…can you talk a bit about what SBCG means, and what’s different about it? 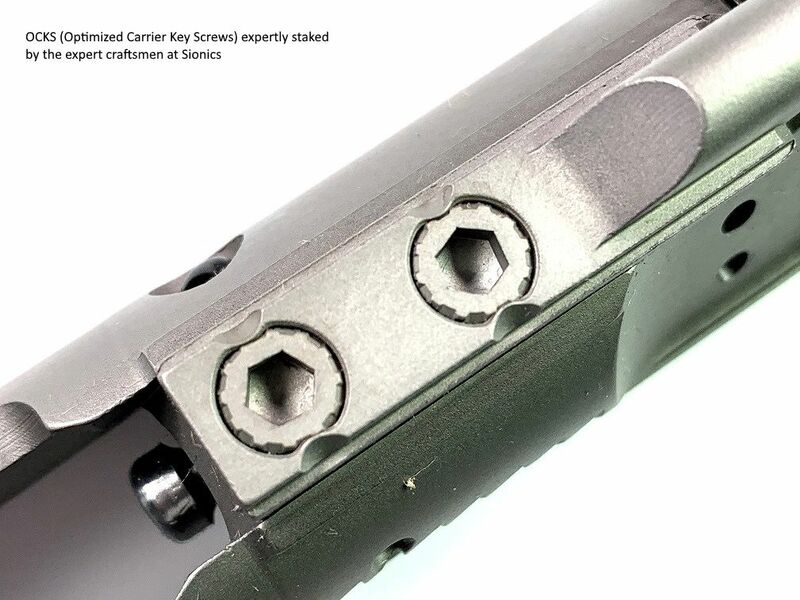 Roger Wang, Forward Controls Design: The SBCG stands for Secure staking Slick side Bolt Carrier Group. What’s different about it is we use Ned Christiansen’s optimized carrier key screws, that once staked, they are almost impossible to walk out. That’s much more important than the way it looks…Another part that we did improve on a little bit was the proportion on the carrier forward of the gas vents. That area is scalloped out to accommodate the port cover’s spring loaded detent and housing. Forward of that, there is an area that we have made into a pseudo-forward assist. 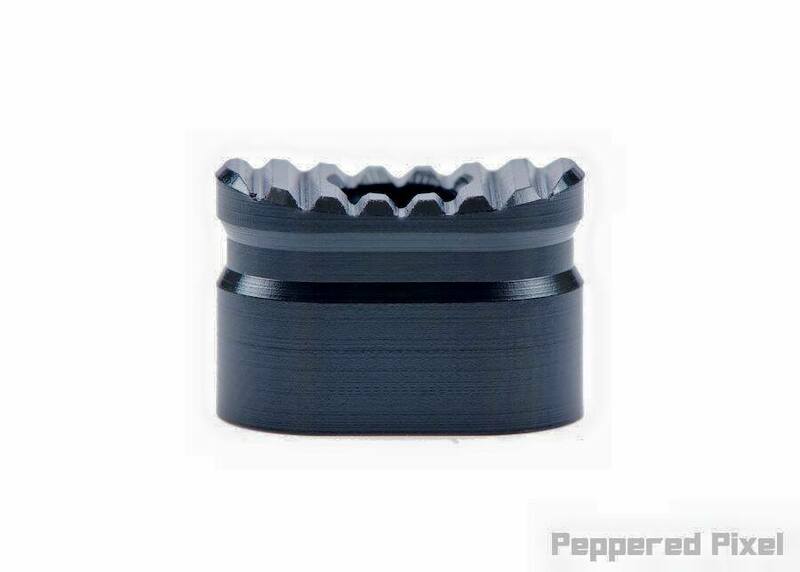 We have either serrations or dimples there so that if you ever wanted to do a soft close, or if your bolt is out of battery, you can press on the serrated or dimpled area and close the bolt. It does not take the place of a real forward assist which you can exert a lot of force on, but the serration or dimples are convenient, easier and faster to access. I deem the original bolt carrier design so good, I don’t see a real reason to change it that much. If you make it too light or heavy, there is a price to pay somewhere. I believe the AR is a system that is fine tuned and you cannot just add or subtract or remove weight without consequences. Q: In your position, you have a unique perspective on the AR…any advice you’d give someone new to the platform? Roger Wang, Forward Controls Design: Everyone has different needs and different likes. For someone who is brand new to the AR, I’d say get a Colt, Sionics, or Sons of Liberty Gunworks AR as a solid, well built basis…and take courses with it. From there, you’ll quickly learn what you like and find wanting. You can always add accessories to it to tailor your needs. I’d avoid anything that looks overly flashy. That’s because there’s a good chance that item was built just for looks. So, take classes…go shoot while moving, and in strange positions. Once you get outside of the square range, chances are, you’ll find out what works and what doesn’t work. I would recommend for an absolute beginner to wait to build an AR until a bit later. Your first attempt may not work, especially if you take it to a class where you’re running and crawling in mud, or simply have a high rounds count. I believe in scaling the equipment with skills. A Knight’s Armament or Hodge Defense AR probably will not help a beginner be a better shooter…accurate and reliable as they are. Now, they won’t fail them in courses though, and they are prized possessions, and I’m all for that too. Quality is expensive. From a manufacturer’s and consumer’s perspective, I’ve never seen evidence to the contrary…despite what you read in forums. Q: Any advice on setup or components on an AR? As for components, I’d say go ambidextrous. Some say they were issued ARs/M16s with non-ambi and they were just fine. I just believe if it’s YOUR weapon, you should make it in a way that suits you. And for me, ambi is important, because I think you should be able to shoot from both sides. Fact is…you’re not always going to be standing up, square to a target. In courses and real life, you will find yourself laying down, on your side, on your back, and that will teach you very quickly the value and utility of ambi controls. 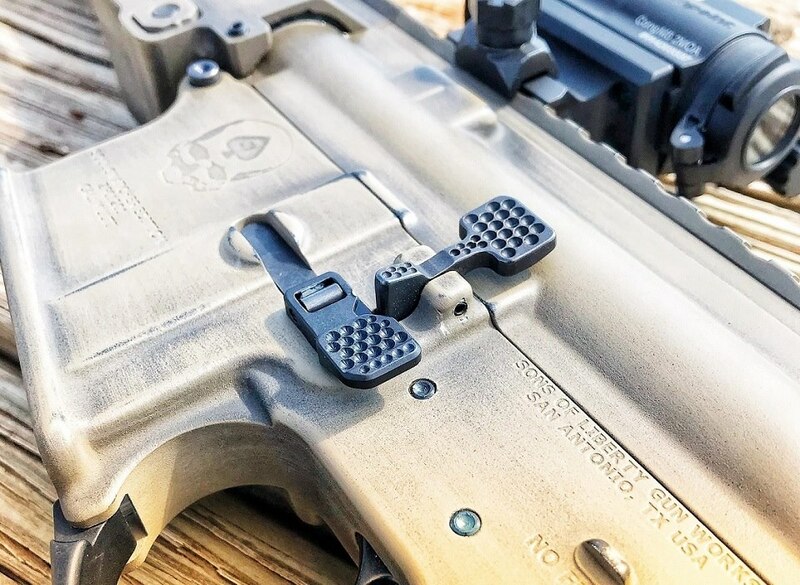 It isn’t a trend or fad that will go away and be recycled in a few years…ambidextrous controls are around because they’ve earned their place on the AR. Folks that are resistant to change and say “I’ve done without it for all these years…” Well, I guess If it works for you, keep doing it. 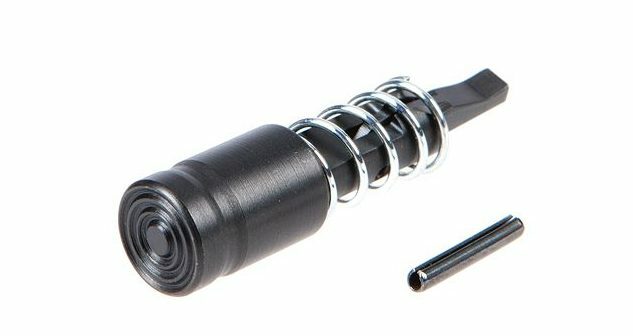 But for folks that want to be more flexible and efficient, and not have to make do and spend more time reaching around for control that’s not there…well, why not make the weapon that work for you? Q: Let’s talk optics. I know you make an accessory that’s quite interesting for the Aimpoint Micro…what’s your feeling on the red-dot as a necessary addition, and can you describe what it is you offer for the Aimpoint? Roger Wang, Forward Controls Design: Personally, I have quite a few red-dots and I shoot them all the time. 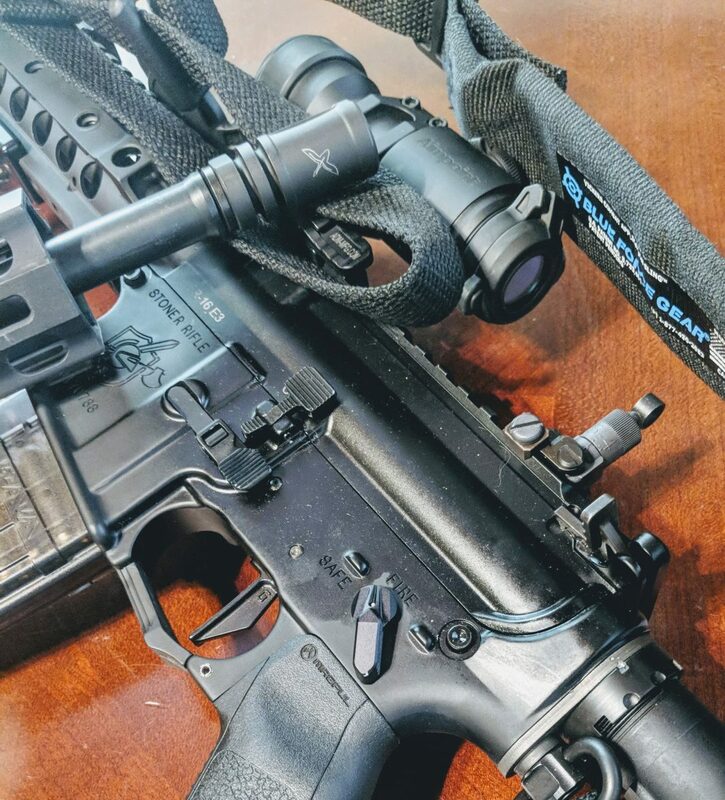 It’s a versatile sight for a civilians, LE and military alike, and it’s reliable, assuming you have purchased a quality optic. So, be wise, spend the money and buy a good one…It’s always going to work. Aimpoint is a good example of that. 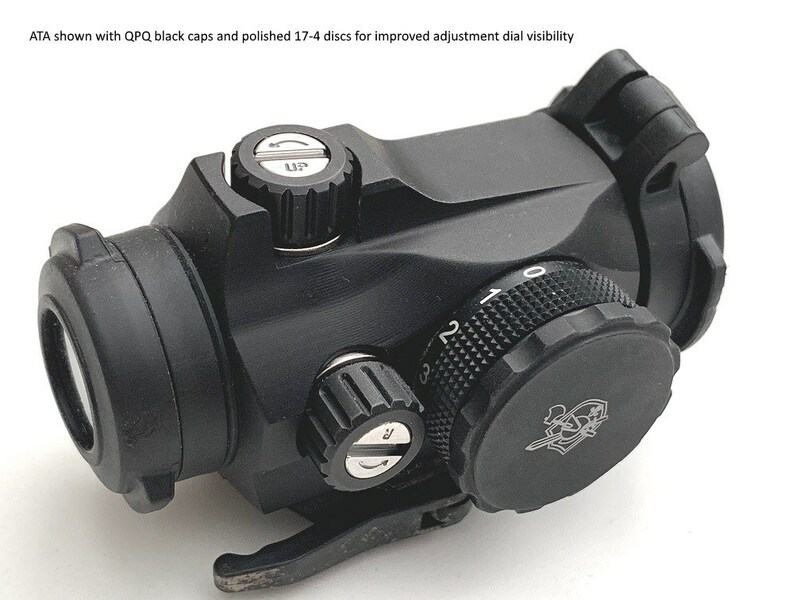 Now at Forward Controls Design, we have developed an adjustable turret cap for the Aimpoint Micro to address a complaint that no one had done anything about. On the T1, T2 and even the Comp M4 and M5…on the M4, the cap is tethered, but on the T1, H1, T2 and M5, you have to unscrew a very small cap and flip it around and use the cap to make adjustments. Well, people have lost those caps. You can, of course, buy a new one and replace it, but what we have done is made it so the adjustment can be made externally with the rim of a cartridge. That has a lot of benefits…for instance, you never have to remove it once it’s installed. It’s faster. It’s also great in cold weather when your fingers are not working so well, with or without gloves. Q: Finally, can you talk about updates and revisions you do for some of your already successful products? Roger Wang, Forward Controls Design: While we keep creating new products, we don’t neglect our existing ones. Everything we do is billet. It’s expensive, but it does allow us the opportunity and the ability to quickly change our designs and incorporate lessons and suggestions into newer designs. This explains why we have version 2 and 3 for products that have been in the market for 3 or 4 years. Often when companies have a good design, they’ll stick with it and rarely change it. We appear to change all the time, but these revisions are purely function driven…and we do it because I believe we have an obligation to always improve and do better. We try to think of everything the shooter can encounter. I’m a shooter. I take courses and I’ve been shooting for a while. I’ve been designing AR components since 2010, but I know don’t know everything. So, in our Facebook group, I do ask for opinions. I think I’m pretty humble, and smart enough to recognize the pool of talent possessed by our customers and friends. We often ask for, and receive input from folks that are smarter and more experienced than I am. This input then makes its way into subsequent revisions. This collective wisdom and experience is vastly greater than any one person can achieve. I’m grateful for our friends and customers that have helped us be more…and be better. For the best look at the many products that Forward Controls Design offers, you can visit their webpage. For me, I find the ABC’s of Forward Controls Design to be a great starting point. I think you’ll find it helpful as well. As always, a great thanks to Roger Wang for taking the time to speak with us and give us an overview of the company. We’ll be bringing you more from Roger in the weeks and months ahead.